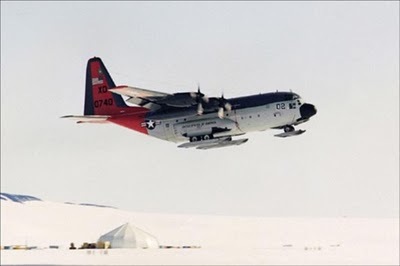 On 4 December 1971, an LC-130 Hercules transport plane was damaged during a research flight on the eastern coast of Antarctica. With the gearbox and propeller torn off, the aircraft was seriously damaged and was unable to take off. 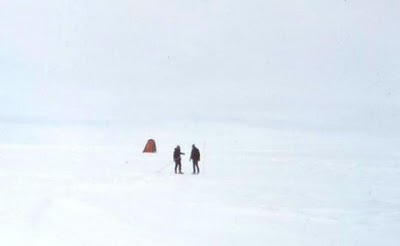 The crash site was just in the middle of nowhere, stuck in the snow about 1,400 kilometers from McMurdo Station. Fortunately, the ten man crew were uninjured but had to live in survival shelters for more than 3 days until the weather improved enough to allow a rescue plane to land. The Navy personnel who arrived to inspect the aircraft and investigate the accident determined that salvaging it would be too dangerous and costly; the salvage crew was given only an hour to cut loose the most valuable instruments, and the aircraft was left to get buried. 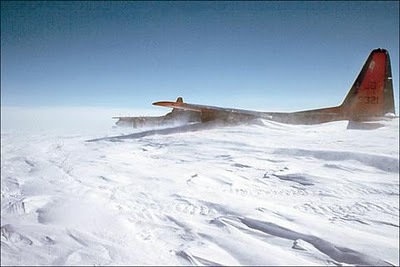 During the following years the aircraft was gradually buried in ice. 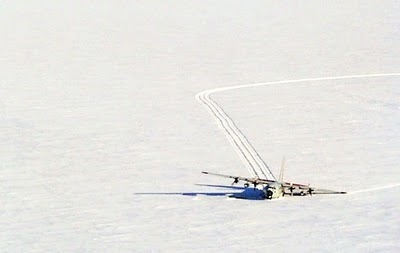 Only the top of the airplane's tail was still above the snow. 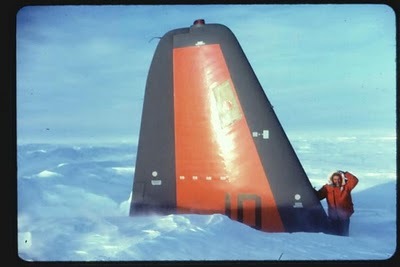 The three-foot section of the tail fin was the only object visible in miles of snow. 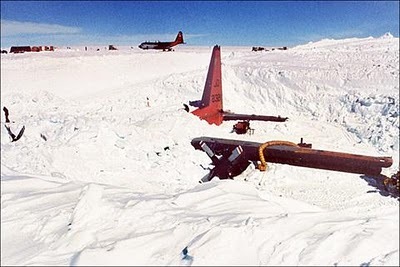 But the economics of aircraft procurement caused the National Science Foundation to take a closer look at the buried LC-130. In January 1987, sixteen years later, experts determined that repairing the stricken Hercules would be cost-effective, considering the price of a replacement aircraft. 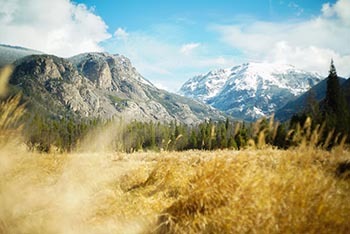 On january 1987, a field repair team set up their base camp and immediately started work on the aircraft. During the next months they replaced all four of the aircraft's engines, two main landing gear systems, struts and small components. 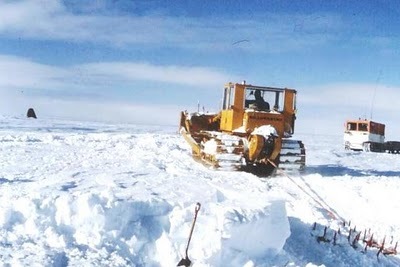 A year later, on january 10, 1988, the plane was completely dug up and it was flown from the crash site to McMurdo Station. 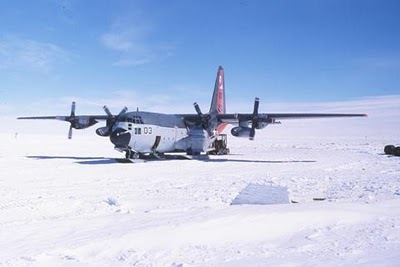 From McMurdo the aircraft was flown to a repair facility in Christchurch, New Zealand, where it had some additional repairments before being put back into service in Antarctica.